To help meet this challenge, KDAB showcased a number of innovations at Embedded World 2019 in Nuremberg, Germany, where the company focused on three key aspects of in-vehicle embedded displays: optimising code, eliminating bugs, and adding 3D graphics. Optimisation is important in automotive systems since it allows for lower priced, lower powered processors to smoothly render complex graphics, giving automakers an edge in creating distinctive displays while still using cost effective parts. KDAB provides a number of tools that help developers optimise their code, such as the KDAB Gamma Ray inspector that allows visual debugging of Qt application structures, state machines and models, the KDAB Hotspot Profiler that gives programmers insights into the areas of their system that are consuming excess CPU cycles, and the Heaptrack Profiler that analyzes a programme’s memory use and behaviour so that engineers can ensure the system consumes memory properly and won’t exhaust that precious resource. Having bug-free code is important for all software but since few people appreciate rebooting their cars there is an especially high quality bar for automotive systems. To help with that, KDAB created the open source tool Clazy, a static analysis tool that finds problems lurking in Qt source code. Not only does Clazy find all manner of Qt-related bugs, performance sinks, and unneeded memory usage, it also helps rewrite code to adopt improved constructs and newer syntax, and easily integrates into existing build systems. 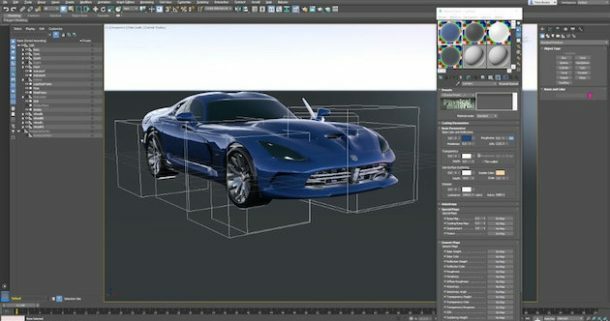 The last item of interest to automotive developers – but certainly not the least – is KUESA for Qt 3D, a designer/developer workflow solution that helps streamline the creation and deployment for 3D content in both embedded and desktop applications. Three-dimensional models are being increasingly used in cars for realistic looking digital instrument clusters, diagnostic car model displays, and sophisticated user interfaces. KUESA removes the barriers that traditionally exist between designers and developers, and allows each team to use best-in-breed tools of their choice. With KUESA for Qt 3D, designers and artists can create professional and attractive 3D assets that are easily imported and manipulated by software engineers for real-time rendering in a Qt 3D application – perfect for next generation in-vehicle displays. If you weren’t able to make it to the KDAB booth at Embedded World, visit kdab.com to learn more about all of these automotive-related items and many more.